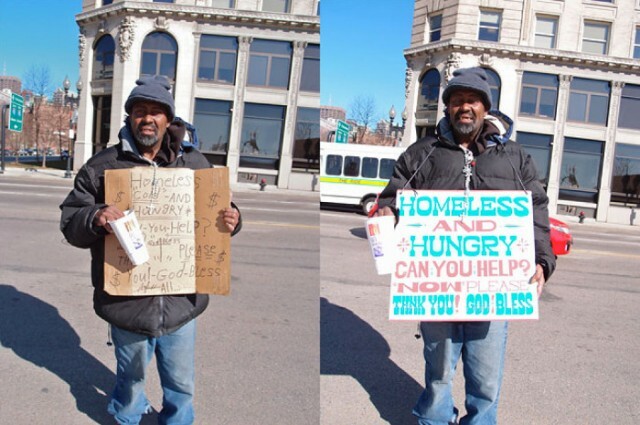 Artists Kenji Nakayama and Christopher Hope decided that the homeless could benefit from some typographical assistance. 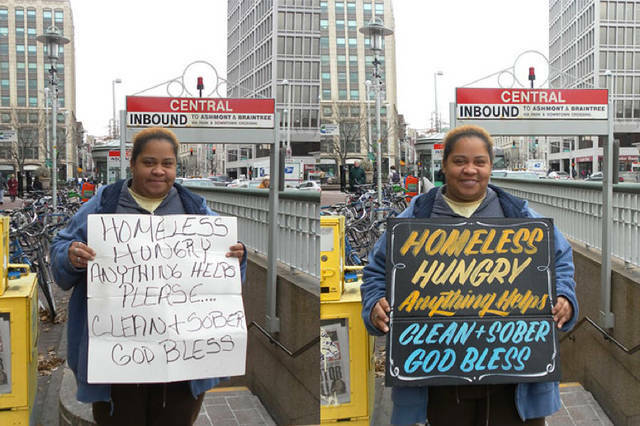 So the duo spent time in cities like Boston and created beautiful hand painted signs that mirrored those held by the homeless they encountered. The result is a series of touching photos of those whom that we all too often turn a blind eye towards. See the full series and the stories behind the subjects here.